Call for a Free Appointment! If you need dependable auto repairs in West Omaha, Nebraska, you won’t regret bringing your vehicle to AAMCO of Omaha (West.) We employ highly-skilled technicians. They are trained to utilize the most recent technologies in our field and to use whatever diagnostic equipment is available to execute an exhaustive evaluation of your vehicle. From there, we can assess your vehicle’s needs before beginning any repair work. We know getting your car repaired is a stressful event so we strive to create a welcoming and comfortable environment while you wait for your repairs to be done. 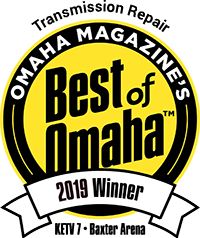 Whether you live here in Omaha or your car breaks down while passing through, we take great pleasure in providing honest service to everyone who comes into our shop. Because we don’t upsell our customers for repairs they don’t need, you can rest assured that you will get forthright service from us. Our reputation is built on the experience of every customer who has walked through our doors. We guarantee all our repairs with a comprehensive warranty. If you can’t get your vehicle to us due to major transmission or auto repairs, we will tow your vehicle for free. We have a local fleet program that contains warranty coverage that keeps your cars on the road comparable to national fleets. We combine the caring approach of a small business with the clout of a nationwide company to serve all your needs. Our state-of-the-art diagnostic equipment allows us to perform complete diagnostic service on your computer, electronics, engine, and external diagnostics. We stock factory-recommended parts for our maintenance and general auto repairs. Our skilled technicians can repair both foreign and domestic cars. That’s why you can count on AAMCO of West Omaha to competently take care of your auto repairs. We offer transmission, complete brake, manual and automatic transmission, and differential repairs and overhauls, plus tune-ups, fuel injection cleaning, suspension repairs and more. Don’t ignore that weird sound coming from your engine: We offer free inspections. To schedule an appointment with our talented technicians, contact us today. Be sure to ask about our special offers and financing options. 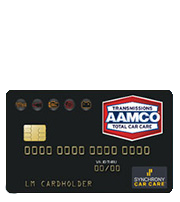 Discover the AAMCO difference! Brent David at Aamco is absolutely outstanding!! If you need any car care or transmission work, he is totally accommodating and has outstanding customer service!! GO SEE HIM!! Friendly, knowledgeable staff with great service. They did a good job explaining how the service I was Inquiring about worked and also gave me a discount. Thanks Brent for the information and the great service, such a good guy to work with. I would recommend this location to anyone and will continue to return here for service. Total car care facility with amazing customer service that goes above and beyond to make sure all your needs are met. Highly recommend for anything work you may need to your car! Thanks for your service AAMCO! Brent was awesome. I came in to do a lyft inspection and the customer service is excellent. Very friendly and nice clean shop. Hard to find friendly mechanics, these guys are them! Super friendly, very competitive pricing, and very good about explaining what they are doing to your car and what needs to be done! Thanks Brent! Stopped by for service this morning, in and out in almost no time. Brent was a pleasure to work with! Thanks for taking such good care of me. Came in for an Uber/Lyft inspection. Brent was able to take care of us the same day without an appointment! Great service! Friendly, knowledgeable staff with great service. Brent is great to work with. I would recommend this location to anyone and will continue to return here for service. I was helped by the manager Brent, who was very accommodating. Although transmission repair is their specialty, they also provide many other car repair services. I will be returning in the future. Great customer service, very friendly and fast. Thanks Brent for your help getting me all set up. Went in for a certified vehicle safety inspection. What is the vehicle's problem(s)? © 2019 AAMCO of Omaha West. All Rights Reserved.